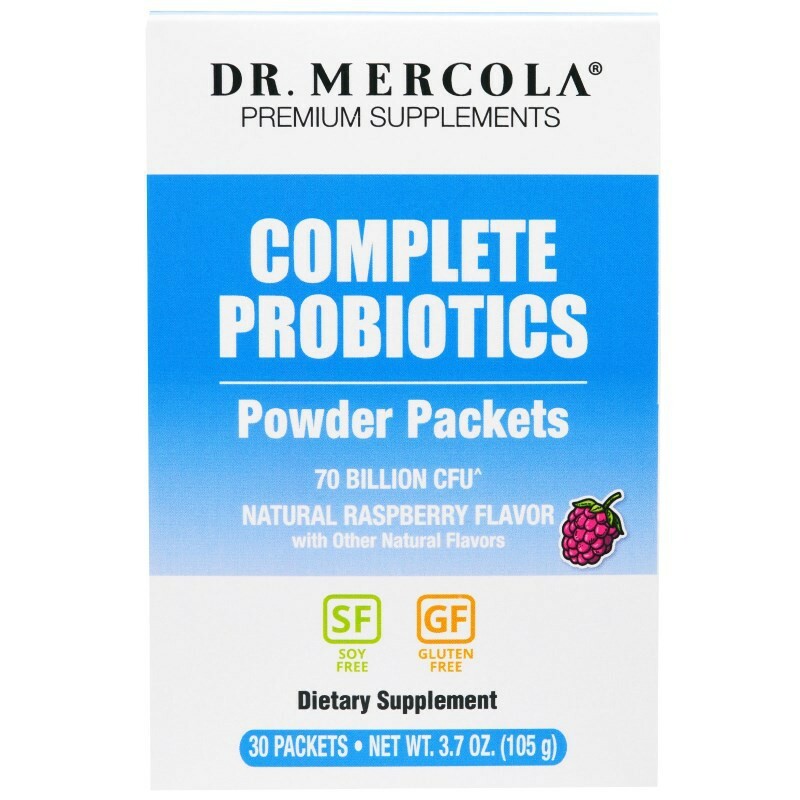 Complete Probiotics from Dr. Mercola in Powder Packets with Natural Raspberry Flavor. ^Dr. 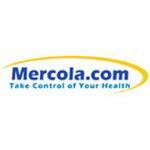 Mercola's Special Blend contains 70 Billion CFU Probiotics [at the time of manufacture]. Maltodextrin (from potato), organic raspberry (fruit) powder, natural citrus flavor with other natural flavor, citric acid (to maintain freshness), inulin (fructooligosaccharides [from chicory root]), natural strawberry flavor with other natural flavor, natural raspberry flavor, organic stevia (stevia rebaudiana [bertoni]) (leaf) extract, luo han guo (fruit) extract, beet powder ([beet juice, caramel, maltodextrin (from potato)]), beet juice powder (for color), silicon dioxide. 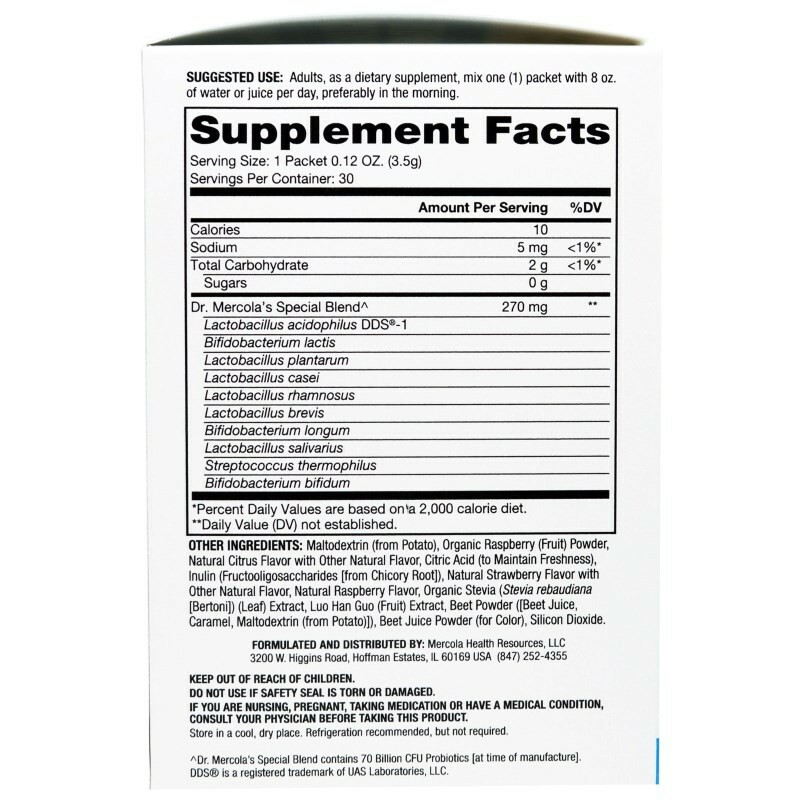 Incorporates a prebiotic in the form of inulin. 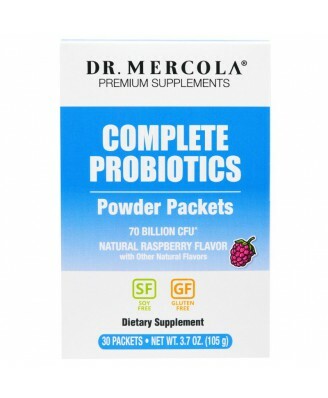 Dr. Mercola's Special Probiotics Blend contains 70 Billion CFU Probiotics [at the time of manufacture]. Adults, as a dietary supplement, mix one (1) packet with 8 oz of water or juice per day, preferably in the morning.